Having allergies, whether food, seasonal or indoor, can trigger migraine attacks. Are they the cause of them? Not necessarily as we still do not know what the underlying cause of a migraine is. Allergies may worsen how a migraine manifests in people living with the neurological disorder. In a 2013 survey response of 5,849 patients with a migraine, 66.8 percent also suffered from rhinitis. 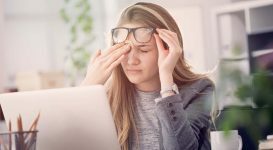 Researchers also found within this group that they had a 33 percent greater chance of experiencing frequent headaches than those with a migraine and no allergies. Let’s look at four of the most common allergies, their effect on migraine and how to treat them. Rhinitis and sinusitis are the most common types of nasal allergies to cause or trigger migraine attacks. 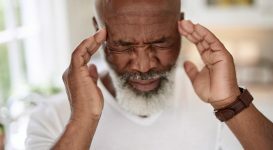 The link between sinusitis and migraine could be due to the swelling of irritated and inflamed tissue in the sinus cavity, and increasing pressure on the nerves. That pressure sends a signal to the brain resulting in a debilitating migraine. Among people with allergies, more than four percent report also having a migraine to their doctors. Taking care of your allergies is the first step in managing allergy related migraine. See an allergy specialist to narrow down the substances you may be allergic to. Learning what you are allergic to will help you to avoid them and hopefully steer clear of a migraine. Although many people living with a migraine have multiple food triggers, not too many have associated a specific food allergy to their migraine. Avoiding foods like chocolate, aged cheeses, processed foods, and lunch meats are common. However, if you do not know you are allergic to a particular food, it can be unknowingly triggering migraines for you. Keeping a food or headache journal can help in determining your food triggers. If you suspect that you may be allergic to something, see your doctor or an allergy specialist. Not all migraine patients know that some of their migraine symptoms are related to food. By recording each a migraine and noting what you ate that day, it will help you narrow down what food triggers you may have. For instance, if you had a ham sandwich for lunch and thirty minutes later you started developing a migraine, the nitrates and nitrites in the lunch meat could be the culprit. For some, gluten is a food trigger. If you notice a pattern of increased migraine when you ingest glutinous foods, you may want to avoid eating them. Learning what your food triggers are, you can help reduce having a food related migraine. If you are not sure which foods to avoid, your doctor can give you a comprehensive list to help guide you. Having indoor allergies can contribute to increased migraine as well. 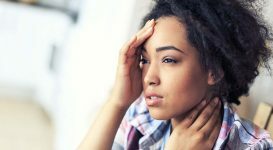 Allergies to mold, dust mites, cockroach particles, dead skin, and pet dander can lead to nasal congestion which can also result in increased headaches or a migraine. Removing indoor carpeting, avoiding feather pillows, and installing HEPA filters can help decrease your sensitivity to indoor allergens. Another culprit in allergies and migraines is histamine. Your body produces histamine when it perceives an allergen to be a threat, resulting in vasodilation, hives, and anaphylaxis. These reactions are also most likely happening in the brain, which could explain allergy related migraine. Taking over the counter antihistamines can help, but you can ask your doctor or allergy specialists for shots for a more targeted and efficient treatment. Identify your triggers and avoid them. Incorporating the treatment of underlying nasal/sinus allergy can be useful if a migraine and allergies are present. When a physician diagnosis a migraine, making your sinus/nasal allergies a part of the treatment plan is beneficial. Rinsing the sinus and nasal cavity with a natural salt water rinse or irrigation may help remove allergens from inside the sinuses and nasal cavity. Using a Neti Pot or similar nasal irrigation system may help remove allergen particles from inside your sinuses and nasal cavity, helping to reduce the possibility of experiencing an allergy related migraine. For underlying allergic rhinitis, nasal steroids and antihistamines decrease the swelling in the nose and sinuses. 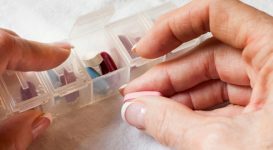 Allergist-Immunologist, Jonathan Field suggests, “Antihistamine/decongestant combinations [Benadryl is one example] help with nasal and sinus blockage as well” and to avoid “rebound congestion,” nasal vasoconstrictors are recommended for short term use. 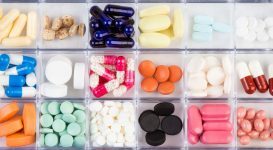 When you have exhausted these methods, and they are not improving your headaches or a migraine, it may be time to try migraine-specific medications. 1. Keep a headache diary and include your daily intake of these items to help identify a migraine and headache triggers. 2. Causes of a migraine can overlap with many factors contributing to why you are having increased migraine and/or headaches. Learn about your family history with a migraine and headache disorders. If it runs in the family, there is a greater chance that you could inherit a migraine as well. Your personal history needs to be looked at carefully to identify any other possible contributors to your headaches/migraine. Remember that there is help for people who have a migraine with allergies. You can manage them both effectively with the right treatments and modifications. Underlying allergies can coexist with a migraine, but it does not have to become an untreatable situation.